Are you sick and tired of struggling to put your horse on the bit? Jane Savoie shares some tips. 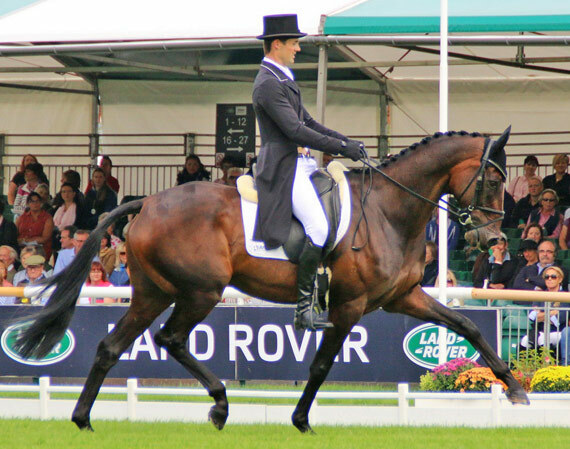 No matter where I travel, the most frequently asked dressage training questions I get are, “How do I put my horse on the bit … and how do I keep him there consistently?” This concept baffles many riders. My hope here is to simplify the process for you with the following information. The reason we give a half halt is to bring the horse to a more perfect state of balance. The half halt is the most important yet most misunderstood concept in riding. It is important not only because it is the aid to put your horse on the bit, but also because it is the doorway through which you do every change of gait, balance, movement, or exercise. There is no “stopping” in a half halt. Think of it as a “half-go”. That is, every half halt contains the power, the surge, or the thrust from behind that you’d have if you asked for a medium gait. There is one generic, “over-the-counter” half halt. It consists of the momentary closure of seat, legs, and hands. The confusion about half halts stems from the fact that there are many possible variations of that generic half halt because you can use your seat, legs, and hands in different ways. To add to the many options available, you can also vary the duration and the intensity of the half halt. Different variations of the generic half halt create different results such as connection, collection, or preparation for something new. To put your horse on the bit, use the version of the half halt that “connects” your horse’s back end to his front end. For the sake of clarity, I will call this version of the generic half halt, the “connecting half halt”. The “connecting half halt” consists of the marriage of 3 sets of aids. To the naked eye, the aids are given at the same time. Next, close your outside hand (rein of opposition) in a fist to capture, contain, and recycle the energy back to the hind legs. After 3 seconds, soften everything . Go back to the light, maintenance pressure of legs and hands you had in the beginning before you gave the half halt. For more information tips on picking up the correct lead and solving other training issues, visit www.janesavoie.com. First published on Horsetalk.co.nz in October, 2007. Half Halt . This explaination is too complicated and in places incorrect. It sounds like the WRONG way to do the effect d’assemble of Baucher 2nd Manner. The EE of the 2nd Manner done CORRECTLY will put the horse “onto the bit” and is invisible to see being done and IS momentarily and DOES NOT last as long as 3 seconds as does the so called “HALF HALT” of the Prussian Stlye of riding which in comparison to Baucher’s methods laborious and heavy handed.